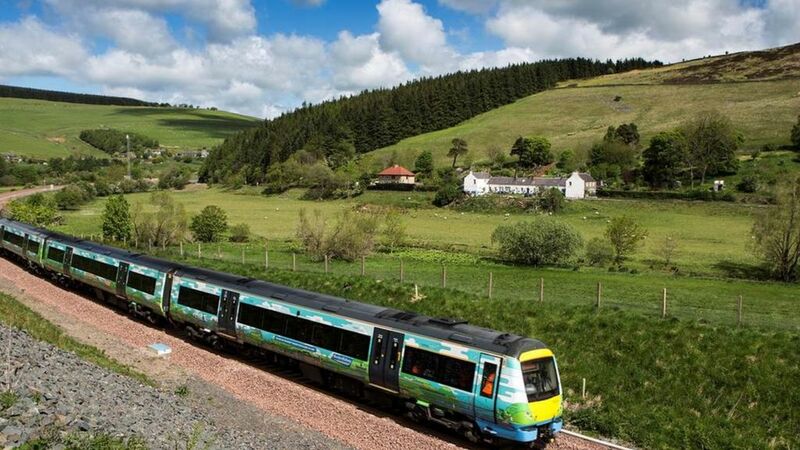 Borders Railway campaigners have said they helped to avoid embarrassment for the Scottish government by highlighting the route's tourist potential. They pressed for extra capacity at Tweedbank to cope with charter trains. The Campaign for Borders Railway said that an original 'downbeat verdict' could have seen 'an embarrassingly sub-optimal offer' for tourists. The Scottish government said it had included communities and campaigners in the process of reopening the line. Borders Railway campaigners say they helped to avoid embarrassment for the Scottish government by highlighting the route's tourist potential. A Borders Railway Tweedbank - Newcraighall crew training turn about to cross Hardengreen Viaduct on 10 July on the approach to Eskbank station. Borders Railway crew training on 15 June. 158741 Southbound past the platforms at Eskbank (Old). Mind the gap! Freightliner 66610 on a ballast train just north of Tynehead station on 10 November 2014. Sister locomotive 66605 is on the other end of the train.